It doesn’t matter if you live in London or just enjoy traveling there, if you like to gamble, you’ll want to do so in nothing but the best London casinos. If you’re in the West End near Leicester Square, Covent Garden, Soho or Piccadilly, then there are some great casinos well within walking distance from you. This is a great casino that is located directly upon Leicester Square. This is a bit larger of a casino than the Grosvenor Casino, which is 200 yards away from it. It’s also a bit less busy probably because you need to have photo ID to get in the first time. Of course, this casino can get really busy because it does attract a lot of different types of people. Nevertheless, the staff is friendly and the establishment is a bit quiet. There are mostly IGT slots but there are also some Gaminators, which you’d find at any other casino in the UK. 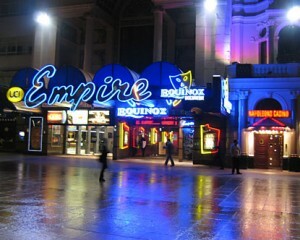 This casino’s biggest competition comes from the Hippodrome, which is a plush establishment that attracts a large crowd. This is a Genting-owned casino. It is very plush, making you feel as though you’re under dressed if you happen to be wearing anything other than a suit and a tie. However, it’s just like any other UK casino in that the dress code really isn’t all that strict. You can get away with wearing jeans and a polo shirt. Of course, regardless of what you’re wearing you’ll need to present your ID whenever you first visit the establishment in order to get a card. This is how you’ll store your money on the machines so you’ll want to make sure that you don’t lose it. This casino is laid out all on 1 floor with all of the table games located in the middle and the slots machines around the edges. There’s also a nice restaurant located within this casino that has Mayfair pricing. If you’re a discerning client, you’ll really enjoy all that this establishment has to offer especially when you win cash instantly! 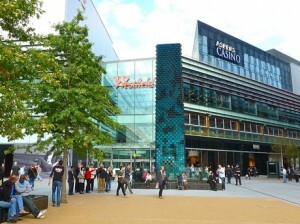 One of the best casinos in this area is the Aspers Casino. It’s the first casino in the area, possibly even within the UK itself, to get a Large Casino license. This means that it’s able to provide more tables and electronic games for your enjoyment. As such, you’ll find 150 slot machines from Barcrest, IGT, Novomatic and WMS. So, if slots is your game of choice, then this is the best place to play them in Stratford, East London. You’d expect this to be the biggest casino in terms of physical size and you would be correct because it really is. Sitting on top of the Westfield Shopping Center you’ll enjoy the great views over the Olympic Park to the stadium. There’s also a Sky Bar, restaurant and large, outside balconies for anyone who smokes or simply wants to enjoy some summer sun while enjoying a drink or two. Whenever you go back downstairs you will find the Westfield Food Court, which has a lot of great food choices to offer. While you can walk into the Aspers Casino without presenting your photo ID, you’re going to need to bring it with you if you want to cash out on any big wins over £1,000 (if you’re that lucky). These really are the best London casinos. It is up to you to choose what you’re looking for but there’s definitely something available for everyone. So, take a poke at your luck at one of these 3 casinos the next time you’re in London.